With summer in full swing, you might find yourself surrounded by water from time to time, meaning it would be helpful if you had a few water-resistant gadgets surrounding you. On the DL Deals Store, two deals should help you out quite a bit, VOXOA Bluetooth Earbuds for $65, and a Rage Bluetooth Speaker for just $35. For anyone who gets really active during a workout, or if you take runs on the beach, the VOXOA Bluetooth Earbuds were designed just for you, featuring water-resistant nano technology to keep your buds safe from the elements. With a built-in high-capacity battery, users can get up to 6 hours of audio playback on one charge. Thanks to the Bluetooth connectivity, you can also control music playback, take calls, and sync with multiple devices simultaneously. 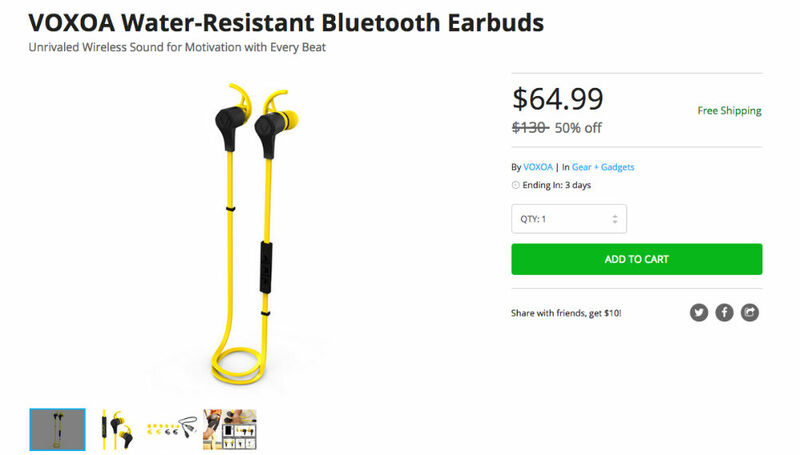 Over on Amazon, these earbuds are priced at $90 with a solid 4-star rating. Not too shabby. If interested, follow the link below. If lounging by the pool and jamming out to tunes is more your style, check out the Rage Bluetooth Speaker. With its own resistance to drops, splashes of liquids, and dust, it should keep on rocking in the harshest of times. With its built-in battery, users can get up to 4 hours of music playback while at full volume. 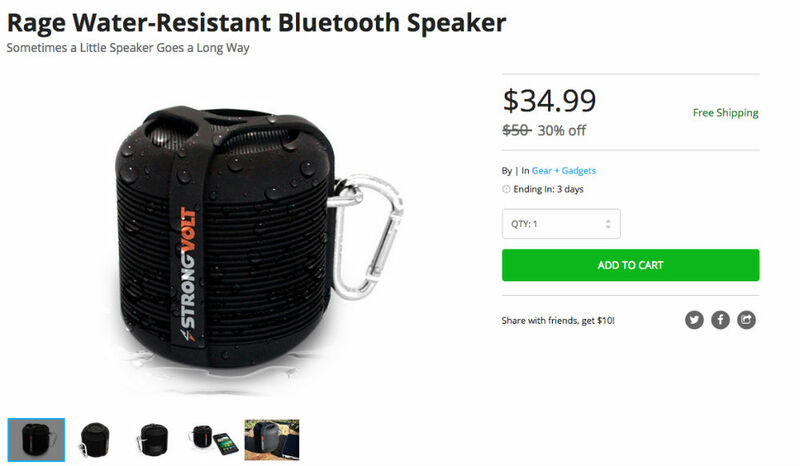 If you have a device not capable of Bluetooth, this speaker also comes with an auxiliary cable for hooking up the tunes old school style. If you are out camping or hiking, the device features a clip for attaching the speaker onto almost anything, such as belt loops, tent polls, or bags you carry around. Check out the full feature list, then follow the link below to purchase.